Sensei Derick Wellman promoted his second black belt this month when he promoted Blair Watts to Nidan on Wednesday, February 25, 2015. With Sensei Randy Pierce also presiding, Blair successfully demonstrated the skills and knowledge necessary for the rank of Nidan. Watts started judo at an older age, 36. The ex star high school wrestler started practicing at Kirkwood Judo Club. 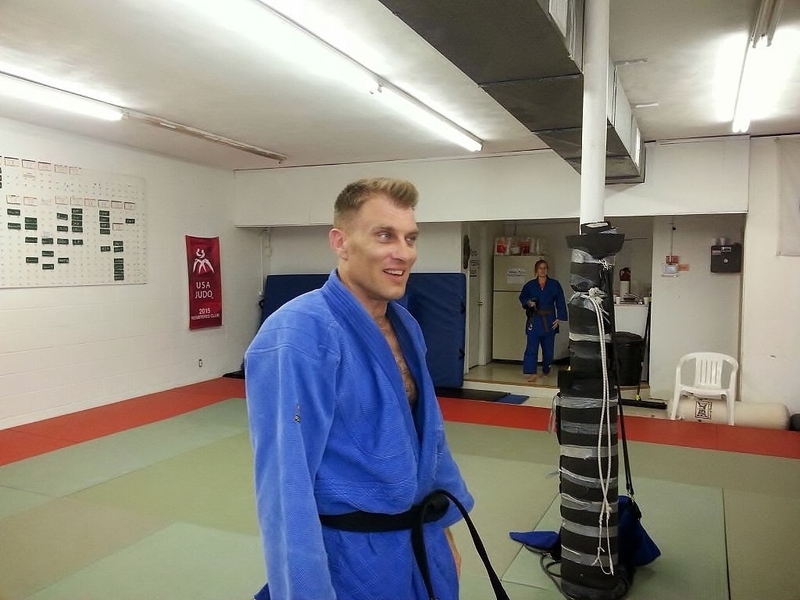 Watts started training at White Dragon Judo Club in 2006 and has not look back since. At 52, the dedicated fireman is an awesome adult judo instructor whose teaching style is nothing short of encouraging. Watts always enjoyed the family atmosphere that White Dragon Judo Club portrayed. Blair is a great mentor to many young and old students alike. He is a great example of what service to judo is all about. 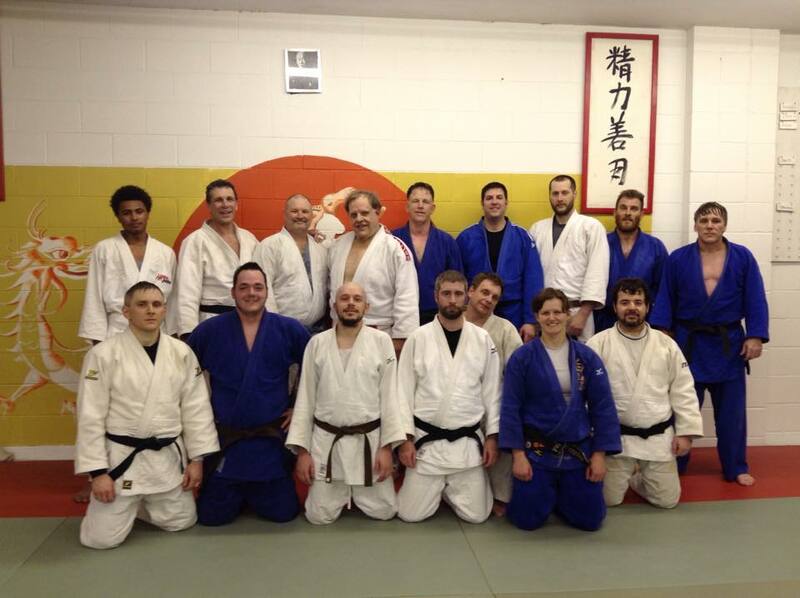 February 4, 2015 was a very special night for White Dragon Judo Club. 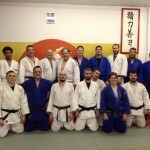 Sensei Derick Wellman had the pleasure of promoting some home grown talent to the rank of Shodan. Dan Dillon “Submission Dan” successfully passed his first degree black belt judo test. Dan Dillon judo journey is rare these days. Dillon trained under Sensei Derick Wellman from white belt to black belt. Dan started judo 2003, a year after White Dragon Judo Club began. Dillon’s perseverance, diligence, hard work and service to judo has paid off. There was not a day that went by that you did not see Dillon practicing. Even when he was hurt, Dan would find a way to get his judo workout in. A skilled handyman, Dan has made it his business to keep the dojo structurally sound. Currently, Dan Dillon is the reigning 2014 AAU Grand Masters Champion in his weight class. 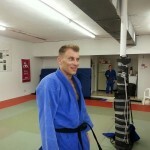 Dillon is a great junior judo coach and instructor who is willing to give his best for his dojo and his students.